The unique history of the Mason & Hamlin company is a story worth telling. The company has endured decades of changing tastes and culture to emerge as one of America’s last remaining quality piano manufacturers. Henry Mason was a pianist and came from a rich musical background. His family descended from pilgrims who crossed over on the Mayflower. His father, Lowell Mason, was dubbed the “father of American church music” and was known throughout the world as a composer and hymn publisher. The Mason & Hamlin company was born in 1854, one year after the founding of another American music icon, Steinway & Sons. Their small company benefited from their attention to detail and limited production. They slowly began to build a reputation for quality and high standards. Hamlin and Mason continued to develop their discoveries. Like other piano makers, they competed and won with demonstrations of their products in competitions such as the Paris Exhibition. It was not until 1881 that they began developing their pianos using a slow, meticulous process, fine materials, and keen attention to detail. Knowing that they required assistance as they entered the cutthroat piano industry, they hired some of the best designers they could locate to assist them. In 1895 the piano division was reorganized by German piano designer Richard W. Gertz. He was the inventor who developed the famous Tension Resonator and later rose to become the President of the company. The Tension Resonator is a large metal spider which links with an uncommonly thick hard rock maple rim and other features to create a soundboard Crown Retention System. This Crown Retention System involves a slightly bowed soundboard that increases energy transfer from the strings to the soundboard, creating rich and powerful tone. Most pianos soundboards tend to wear down and fall flat over time, but the metal Tension Resonator system helps to prevent that problem. This allows the sound to remain strong for the life of the piano. This also adds additional structural integrity to an already incredibly strong cabinet design. It is common to see century-old Mason & Hamlin instruments in pristine structural condition. Mason & Hamlin Grand Pianos are known for being ‘overbuilt.’ This results not only in exceptional structural strength but also in a full, rich tone that has made them preferred by numerous pianists. 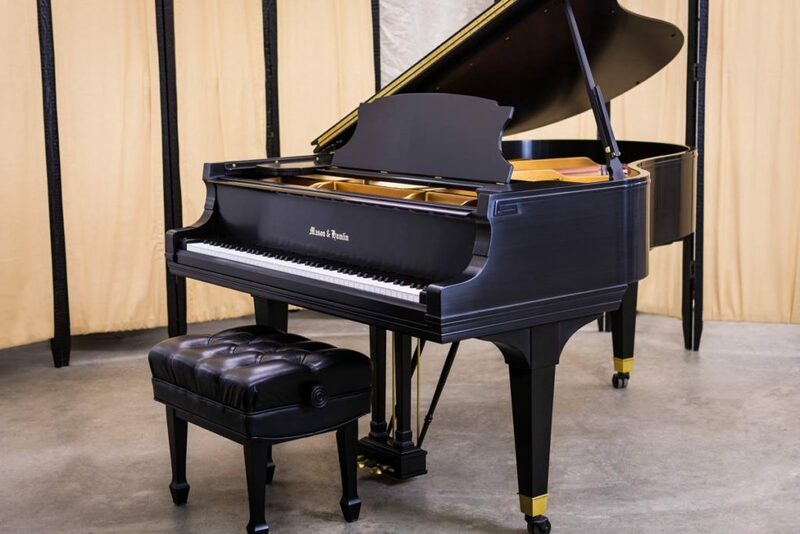 Ranging from the smaller 5’4″ Model B to the imposing 9’4″ Model CC, Mason & Hamlin Pianos continue in popularity in both personal and institutional use. Throughout the company’s history, advancement in design and engineering has been one of their foremost goals. Early Mason & Hamlin ‘screw stringer’ pianos utilized an interesting system which resulted in very stable tuning. (This was discontinued due to its expensive, proprietary design.) The famous Tension Resonator has been a staple of a standard Mason & Hamlin instrument for decades. 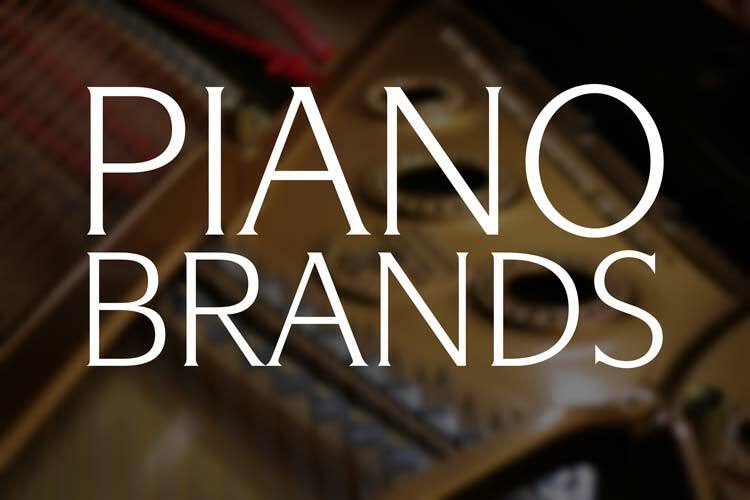 Pianos from Mason & Hamlin are among the heaviest built and most durable instruments ever produced. The rims of these pianos are made from multiple layers of the finest hard rock maple and are some of the thickest in the industry. This, combined with oversized soundboards make for an imposing sound and a tone that is broad and tremendous. These instruments produce a rich tone that is very distinctive and uniquely American. Not one to rest on their laurels, Mason & Hamlin has been at the forefront in their new use of ABS/Carbon Fiber action components, allowing for a light, incredibly durable and responsive action. These new Wessell, Nickel & Gross actions are utilized in all new Mason & Hamlin grand pianos and are often installed aftermarket in many other brands. Chupp’s Pianos has over four decades of experience in selling, rebuilding and working with the world’s finest pianos. Not only can we help you find the right brand and model of piano for your home or institution, be we also have the means and experience to repair and re-manufacture any quality piano you wish. Mason & Hamlin pianos are of incredibly high quality and are excellent candidates for rebuilding. We know that every pianist has a certain style and specific wants. Our abilities allow us to tailor your piano to your unique playing preferences and tonal wishes. We have the ability to locate and restore Mason & Hamlin pianos of the model of your choosing. 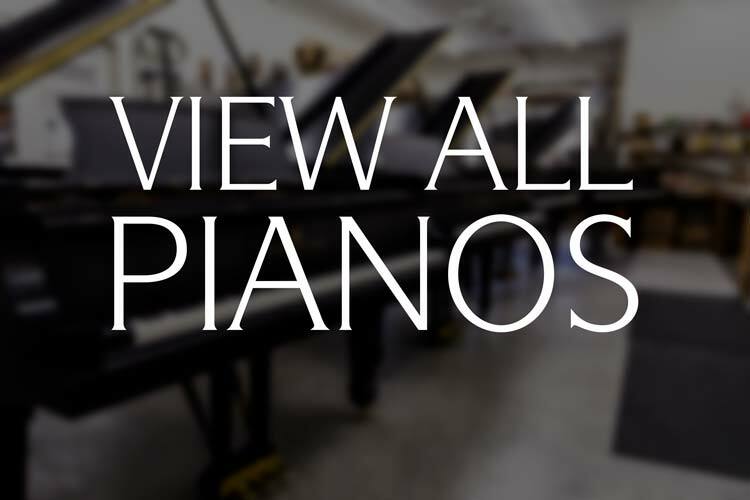 Whether you are interested in a top quality Model 50 Upright or an imposing Model BB Semi-Concert Grand, we are ready to help you select the piano of your dreams! Mason & Hamlin is currently headquartered in Haverhill, Massachusetts just a short distance from their original location in Boston. The company is one of only a handful of piano manufacturers to flourish not only during the Golden Age of the Piano, but also in the today’s modern era. Many of the great piano companies have come and gone, but Mason & Hamlin has endured. You can rest assured that you are purchasing a quality instrument from one of America’s oldest manufacturers that is truly built to last. Their dedication to quality has led them to continue to innovate and lead in craftsmanship in the North American piano industry. The Burgett brothers purchased the Mason & Hamlin company in 1996 and brought a renewed enthusiasm and stability to the company. They brought vintage scale designs out of retirement and returned to the techniques and quality that made the company so beloved. Their extraordinary efforts helped to save this legend of the piano world. To this day, there are 70 craftsmen at the factory who handle every phase of design, prep, and final product development. Every piano is inspected over a dozen times in order to ensure its quality. With such attention to detail, the company currently manufactures only 300 grand pianos and about 50 upright pianos every year. Mason & Hamlin is one of the only piano companies that continue to manufacture pianos in the United States. The continued production of new pianos has brought further attention to the company’s vintage instruments and the advantages they offer. Chupp’s Piano Service is happy to help all of our customers find their perfect piano. Whether you are an amateur just starting on a piano adventure, a discerning professional concert pianist or a university, we are ready to assist you in selecting the piano of your dreams. 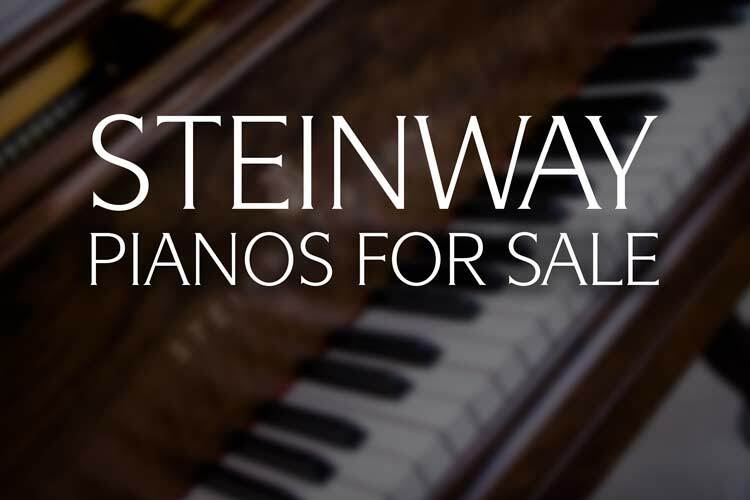 We have a large selection of fully restored Mason & Hamlin and Steinway Grand Pianos in our inventory as well as a number currently being restored. We have worked with countless musicians and professional venues over our forty years in business. Click to read what some of them are saying about our work! Contact us today if you are interested in Mason & Hamlin or any other brand of piano at 574-831-5820. We are proud to provide top quality piano rebuilding services for any premium piano. 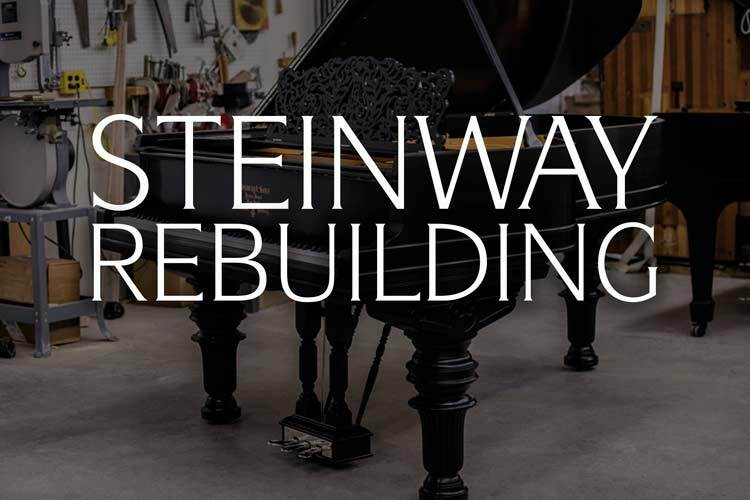 With well over four decades of experience in the industry, we can locate, purchase and restore any particular model of piano you are seeking [Including Mason & Hamlin.] Our services are utilized by private individuals, universities and concert pianists around the world so you can rest assured in our high quality. Looking to purchase a piano? We offer a wide selection of completely restored vintage grands for you to select from today. 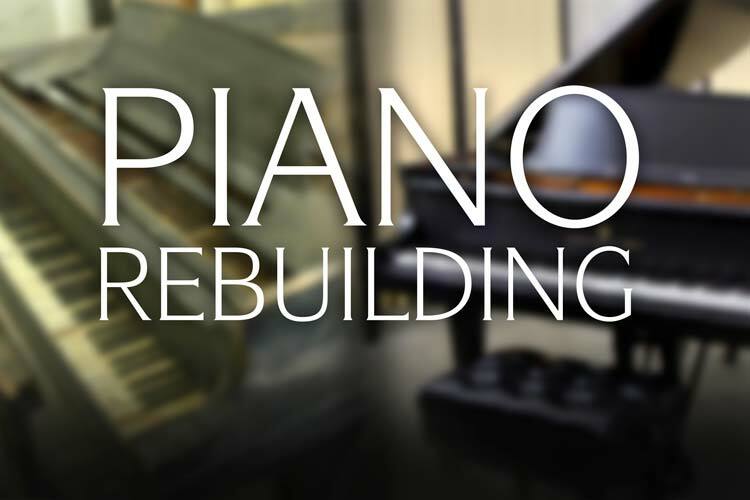 Contact us to begin the piano rebuilding journey or to request information on any piano we have in our facilities. Error: Error validating access token: Session has expired on Thursday, 10-Jan-19 19:00:02 PST. The current time is Wednesday, 24-Apr-19 22:07:10 PDT.